When you doodle, is there a recurring shape or pattern that always seems to flow through you? For me it’s a spiral – if I’m chatting on the phone, looking for inspiration or waiting for the next question at the pub quiz, I can be quite sure to be doodling in spirals. And so I don’t find it surprising that I seem to be drawn to spirals I see around me. 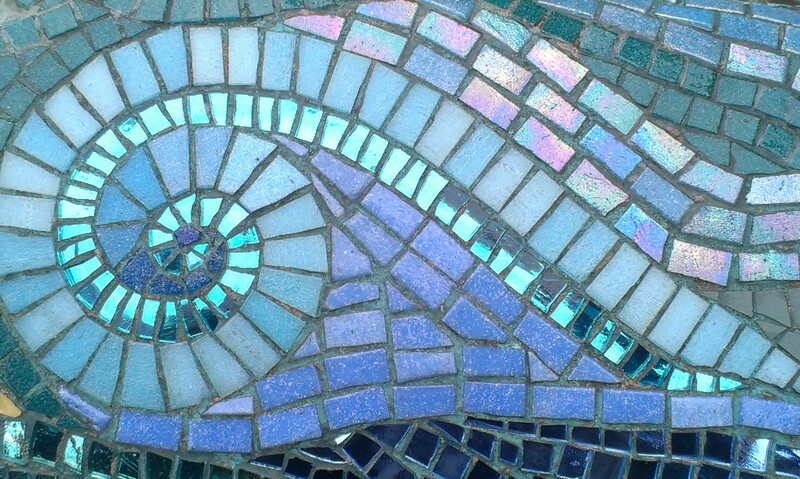 This one is a special spiral because it combines all my favourite things – spirals, shades of blue, shiny bits and best of all, can you guess…. This particular pig is Sulis. If you go to Bath, you can find him behind Bath Abbey. 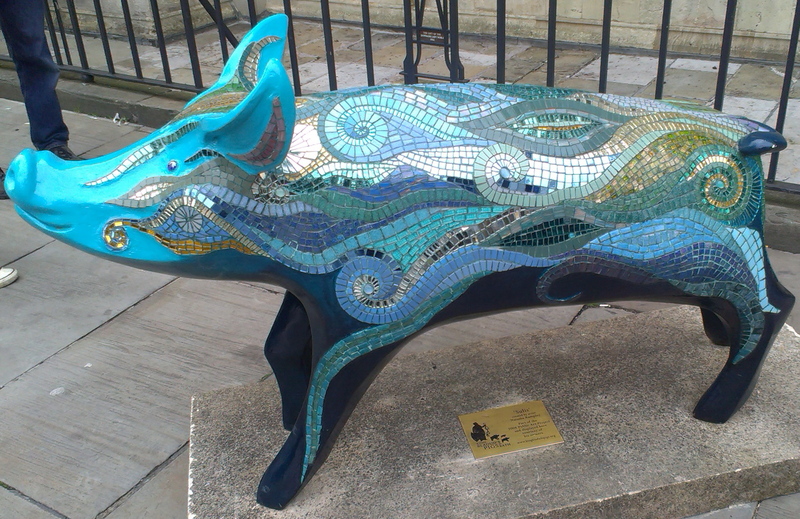 He was made by Natasha Rampley and was one of the Bath pigs who adorned the city for a public art project in 2008. They’ve all gone off to good homes (I hope) now, but if you want to see them, they all have their pictures on the King Bladud’s Pigs website. PS: Just so you know, if you’re seeing any adverts on my blog, it’s WordPress, not me putting them there. If I’m feeling flush one of these days, I’ll go ad-free, until then, please forgive.